Lisa specializes in architectural and documentary photography and provides archival imaging and exhibition prints for artists, galleries, museums, and libraries. She currently lives in the Philadelphia area and is available for location work in Philadelphia, New York, Baltimore, and Washington, D.C.
For information on scheduling, please contact Lisa by email. 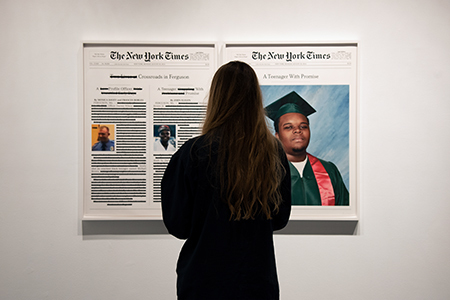 Lisa recently photographed The Legacy of Lynching: Confronting Racial Terror in America, an exhibition at the Cantor Fitzgerald Gallery.